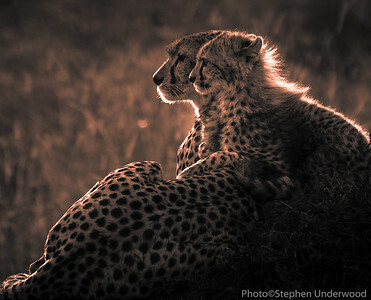 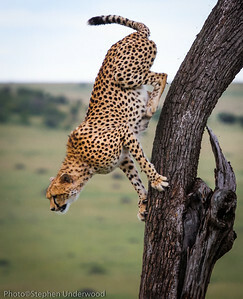 The Masai Mara National Reserve in Kenya is part of a vast ecosystem that extends south into the Serengeti in Tanzania. 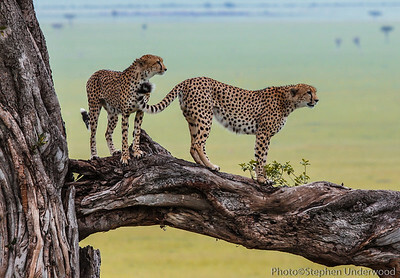 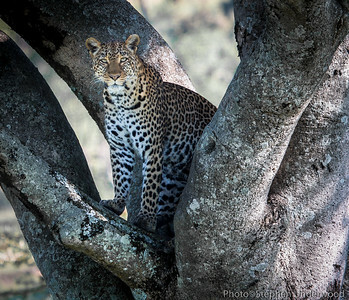 The Mara is an evocative east African landscape characterized by sweeping savannas studded with flat-topped acacia trees and woodland-lined watercourses. 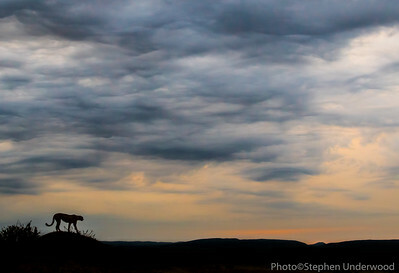 Above these immense panoramas are expansive skies - sometimes a sun-scorched vivid blue, and at other times painted with a glorious sunset or with dark and menacing storm clouds. 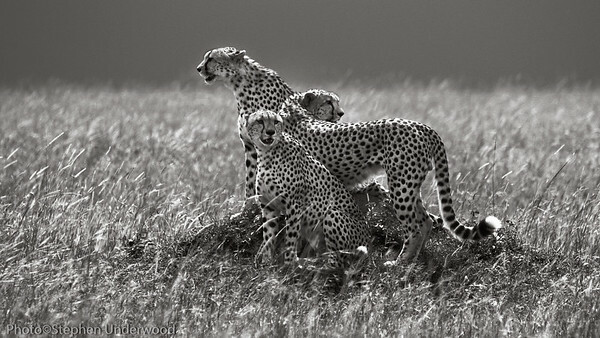 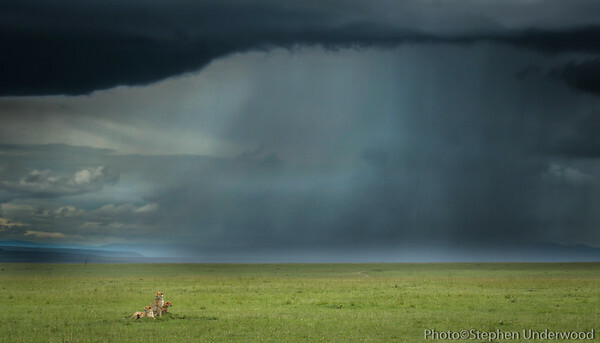 The rains are crucial to the Mara. 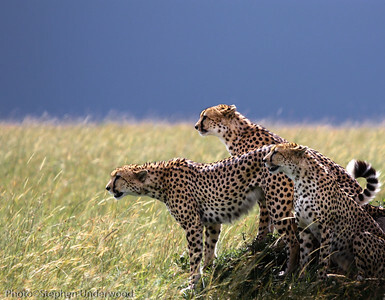 They bring fresh grass to the plains that allows a stunning annual migration of countless wildebeest and zebra. 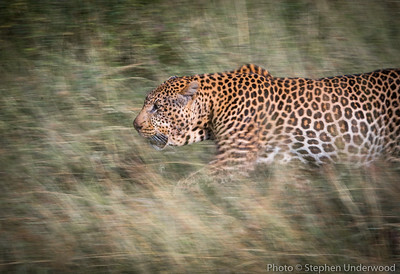 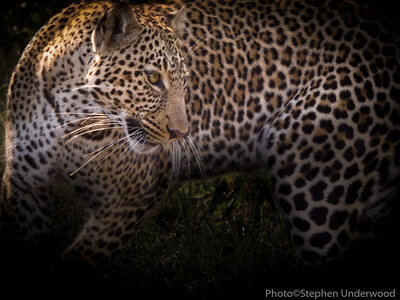 Where the herbivores graze, the big cats hunt. 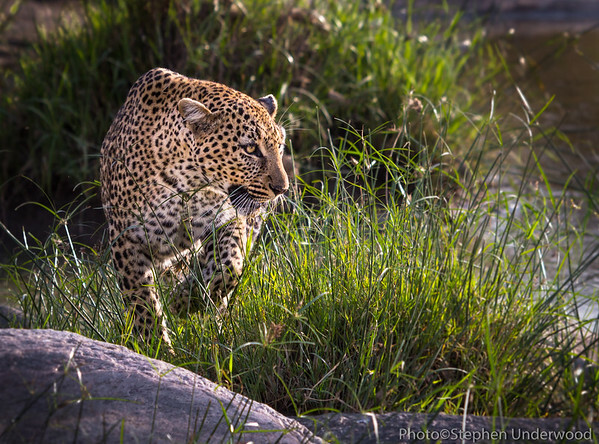 The Mara still boasts one of the world's great concentrations of these relentless predators. 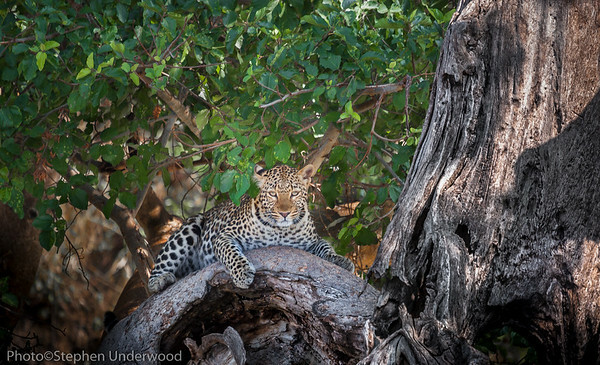 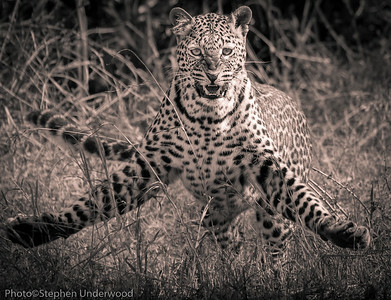 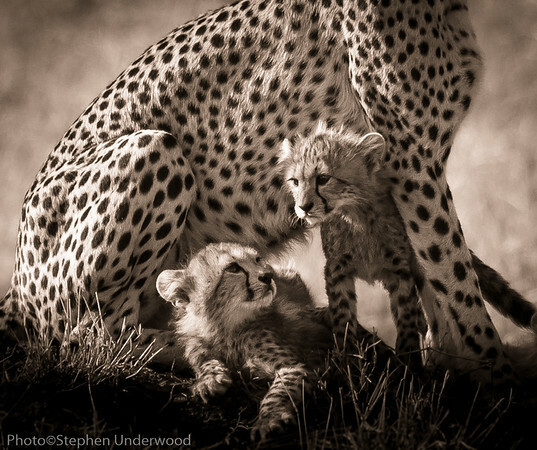 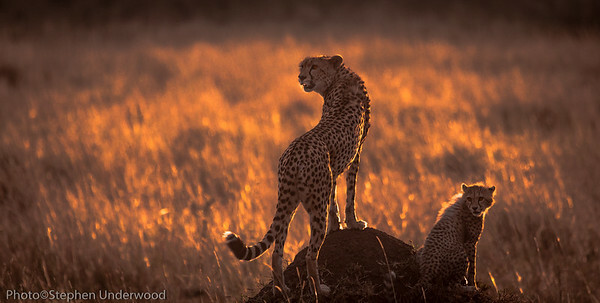 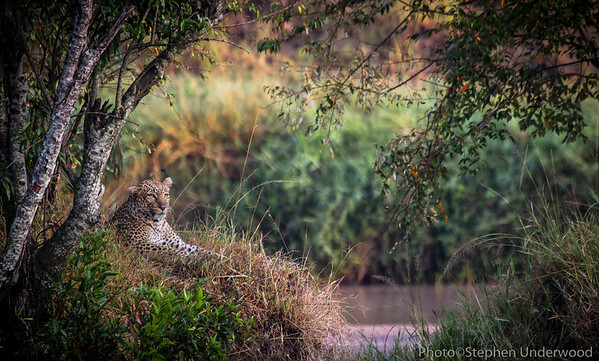 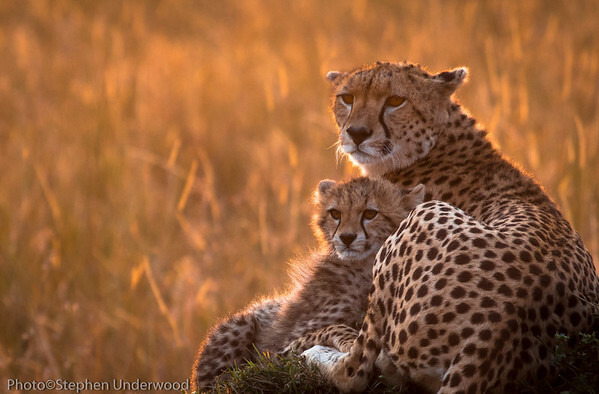 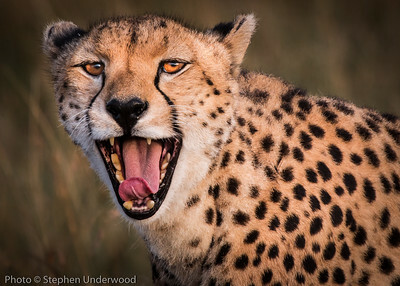 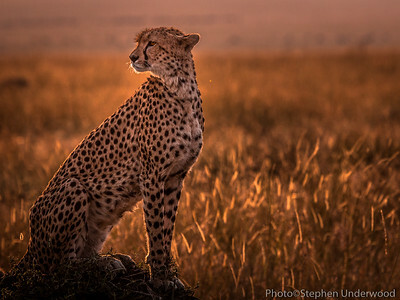 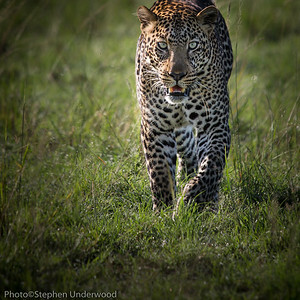 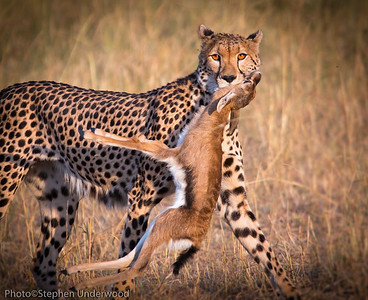 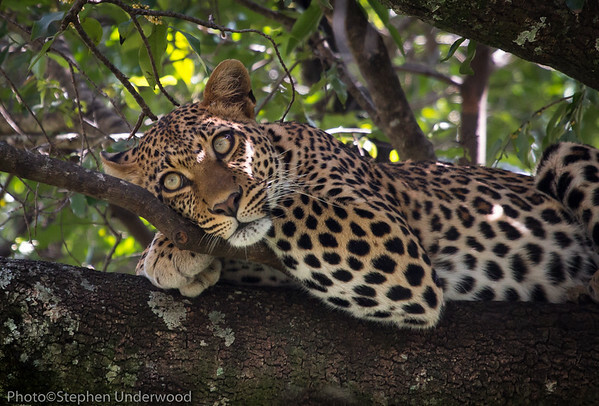 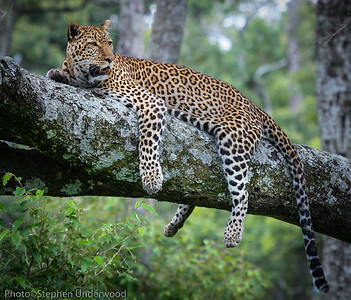 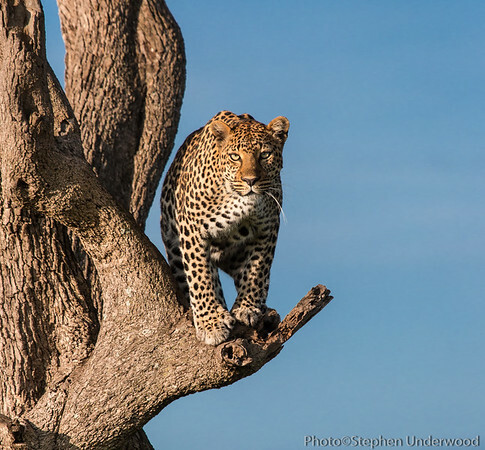 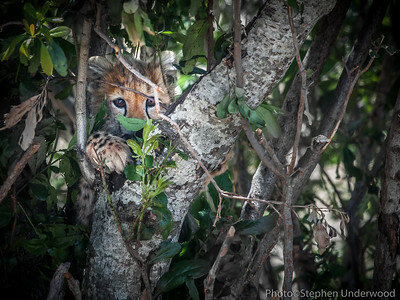 Lions are the lords of their domain, cheetahs are the sleek hunters of the grasslands, while elusive leopards might be glimpsed only as fleeting shadows in the woodlands. 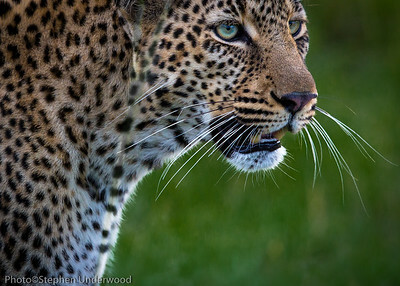 Leopard eyes. 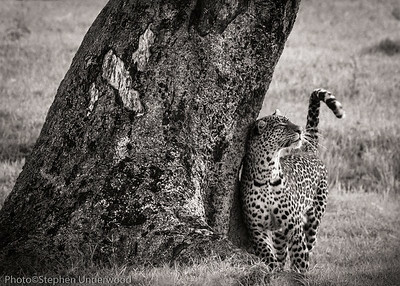 'Bahati', daughter of 'Olive'. 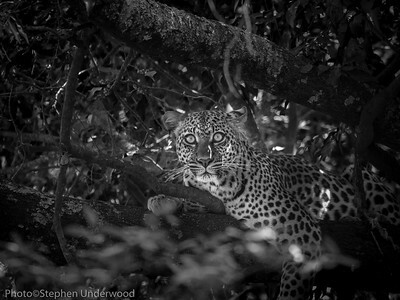 March 2014.